The new Kanda MICRO--X microcontroller programming kit is for anybody who wants to learn microcontroller programming or who teaches it. Its unique blend of modular hardware, software and tutorials makes learning easy. Microcontrollers are the key to modern electronics so why not grab this opportunity to learn how to use them? Kanda CEO, Martin Davies said "We have been making microcontroller training kits for over 20 years and this is the best kit yet. Our hardware has always been excellent but the tutorials in this kit are much better than anything we have done before". The MICRO-X kit is based on one of the latest Microchip PIC microcontrollers, the PIC16F1789, which is far superior to older types like PIC16F877. 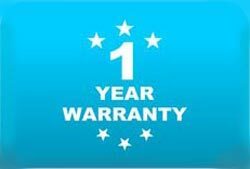 Most information on the web and other training kits use these older devices that are now really dated and expensive. This is the moment to update to these new chips. This training course is based on HTML tutorials that start from basic concepts, such as logic, processor structure and numbering systems. They progress through program planning, assembly language and embedded C code to creating microcontroller projects. The development tools, Microchip MPLAB X, XC8 C compiler and PICKit3 debugger, are covered extensively to give an understanding of how to create an embedded system solution. The online tutorial is backed up by a book that covers the basics in more depth and by extensive sample projects in both assembler and C language. 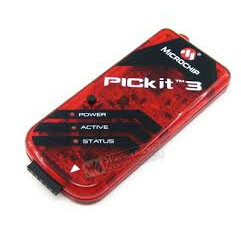 The PICKit3 supplied with the kit is both a programmer and an emulator. Not only can finished code be downloaded to the board but it can also be run in debug mode. This means that it can be stepped through to find all the bugs. The PICKit3 will also power the target board so no extra power supply is needed with the kit. The target hardware is powered by the programmer. It is modular so it has a main board, with the PIC16F1789 PIC microcontroller, and other boards and modules can simply be plugged in. As well as the training board and LCD included in the kit, it is easy to add keypads, wireless modules, a huge array of sensors and much more. It also has a USB connection to provide communications with a PC unlike most PIC microcontroller kits that still use an old fashioned serial port. It is fitted with a 40-pin PIC16F1789 but the board also has sockets for 8, 14, 20 and 28-pin microcontrollers if the project needs a smaller device. 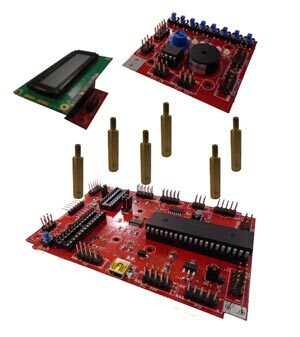 This microcontroller training kit has everything needed to create your own microcontroller based project from scratch. The tutorials and the book cover everything you need to learn including C programming, the MPLAB X development software and PICKit3 ICE are covered in depth and the modular hardware is flexible enough to create your own custom projects. Issued by: Kanda on 27 September 2016.